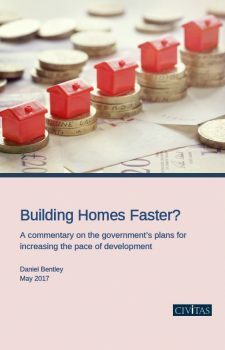 The government’s housing white paper identifies the delivery rate of new homes, once planning permission has been granted, as ‘too slow’ and a ‘major problem’. This is a welcome new consideration within Whitehall, to join longstanding and equally valid concerns about bottlenecks in the planning system. The proposals it suggests for tackling slow development include: removing the practical barriers to development that are identified by developers; requiring greater transparency about build rates; weeding out planning applications that are unlikely to result in a start; using compulsory purchase powers on sites that have stalled. These are all useful steps in the right direction. The white paper fails to address, however, a key barrier to speedier delivery by developers: the market absorption rate. Developers can only build homes as quickly as they can sell them and, in the current framework, they must sell them at current market prices or above. This limits for-sale housebuilding output, which has been in long-term decline as house prices have risen. The problem lies in the price that is paid for the land, which is calculated on the basis of current house prices. This locks the developer into a conservative build rate which cannot exceed the rate at which people are able to buy new homes at current market prices. A site of 1,500 homes may then be built at a rate of 80-90 homes a year, for example, the development taking 15-20 years to complete. This is a function of a planning system which grants permissions with no obligation on the landowner or developer to build any more quickly than the rate that will secure the maximum return. This virtually guarantees that developers will bid up the price of land to values at which conservative build rates are necessary. This is a framework that benefits anybody with a stake in the land, because it means land values – and house prices – are not undermined by new housing supply. But it also means that new supply does not generally improve the affordability of housing for those wishing to buy a home. Diversifying the market with a wider range of providers, including SME builders and the use of off-site construction techniques, are promoted in the white paper as a way of increasing competition. This would be a step forward but not a panacea: private-sector output will remain limited by the capacity of the market to absorb new homes, however plentiful and diverse the providers of new housing are. In order for developers to build and sell homes more quickly, those homes need to be more affordable. One way of achieving this is to give homebuyers greater purchasing power, something that has been supported by low interest rates and actively pursued via the government’s Help to Buy schemes. But this only holds prices up at levels that are already unaffordable to many and requires a constant flow of new resources. Demand-side policies like these are, paradoxically, one of the principal drivers of the affordability crisis we now face. 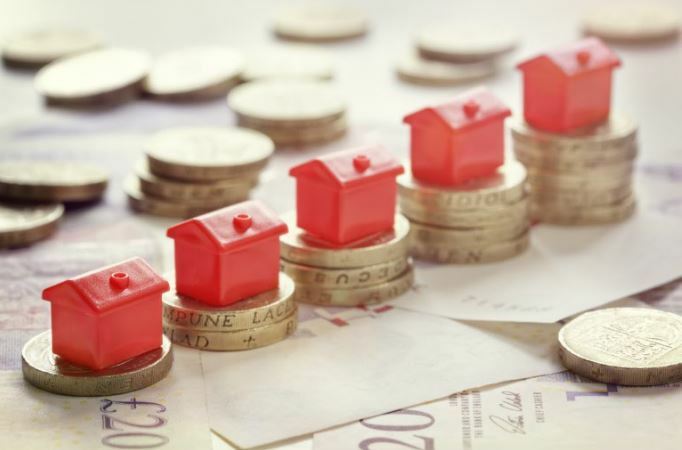 A more sustainable way of improving the affordability of new-build homes would be for them to be sold more cheaply, at a discount rate to first-time buyers, say, compared with the current market price of second-hand homes. The government is attempting something like this with its Starter Homes policy, but this requires taxpayer-funded subsidies and reductions in affordable housing contributions without any de facto change to the market price of the homes. What is required is a new land and planning framework that enables developers to sell homes more cheaply, and so build them more quickly, by purchasing the land at lower prices. For this to be feasible, the landowners’ right to sit on land indefinitely needs to be removed. This could be achieved by overhauling the land compensation rules and introducing the principle that sites needed for new homes but not brought forward for development will be compulsorily-purchased at a price which does not incorporate the value of the prospective planning consent. This would create greater competition in the land market as the onus would be on landowners to sell their land for private development at the best price they can get before the local authority has to resort to compulsory purchase powers. This would be to the advantage of developers, as they would be able to purchase land more cheaply. But at the same time there would need to be a corresponding requirement on developers to build sites more quickly than they are able to under the current regime. This could be achieved by imposing contractual obligations governing the build rate of certain sites, or certain portions of sites, as a condition of planning consent. By requiring quantities of homes to be built to specific timescales, and making this an explicit requirement at an early stage of the planning process, developers would have to tailor their bids for the land to ensure the viability of selling those homes at a price that the market can absorb at the rate required. The idea would be for faster build rates eventually to be embedded in land values. This would enable more homes to be built, more quickly, at prices that a greater number of households can afford, bearing down on current market prices, and thus widening access to home ownership. The cost would be borne by landowners, out of the substantial windfall profits they make when planning permission is granted. This could be introduced incrementally, starting on individual sites in high-demand, high-price areas. If it was gradually rolled out more generally then land values would become anchored to a level at which sufficient homes could be built and sold to meet need in any given locality, rather than being maintained at a level that keeps prices high and drags on housebuilding activity. Daniel Bentley is Editorial Director at Civitas. His previous reports include The Housing Question: Overcoming the shortage of homes (2016) and The Future of Private Renting: Shaping a fairer market for tenants and taxpayers (2015). He can be emailed at daniel.bentley@civitas.org.uk and tweets @danielbentley.